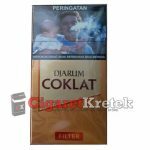 Fine clove and tobacco from Indonesia. 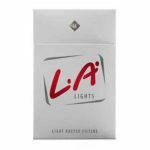 Heritages of classic kretek cigarettes from Djarum. 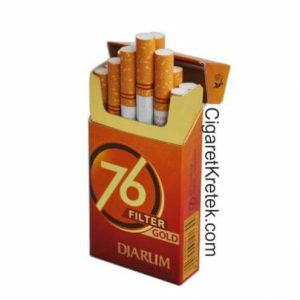 Djarum 76 Filter edition is the answer for new market for classic kretek with new look for Youth, attractive, and active market segmentation. I recieved my order today. The site gets 5 stars, very good service, kind and every request was met. The delivery went without problem and was on time. Very good packaging, discrete and i even included free pies! The prices are good and the cigarettes were fresh. So far I’ve only tried these Djarum 76 filter gold, and they’re quite satisfying. Smooth, sweet with some fruity notes. 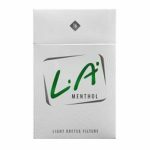 The spice and clove are subdued, and there’s a bit of a pleasant herbal taste, the tobacco is good quality. They leave a pleasant aftertaste, last for some good ten minutes, and they’re a bit on the light side, definitely not overpowering. 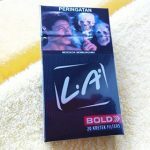 They’re very nice overall, but 4 stars because they do not stand out, they’re nice regular kretek.